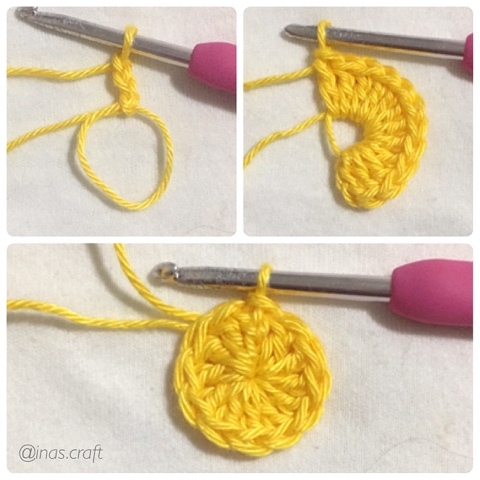 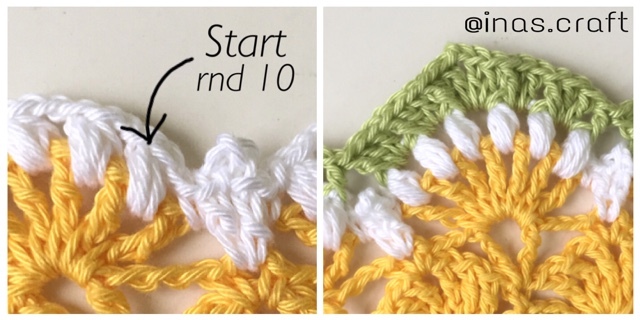 Welcome to my first mini-CAL (Crochet along)!!! 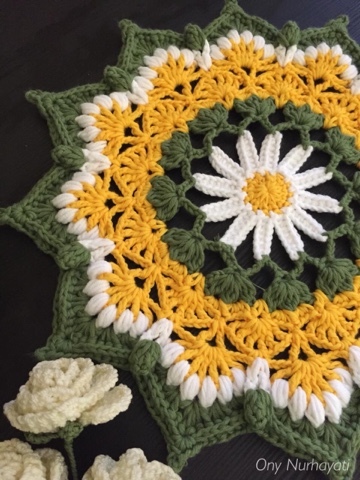 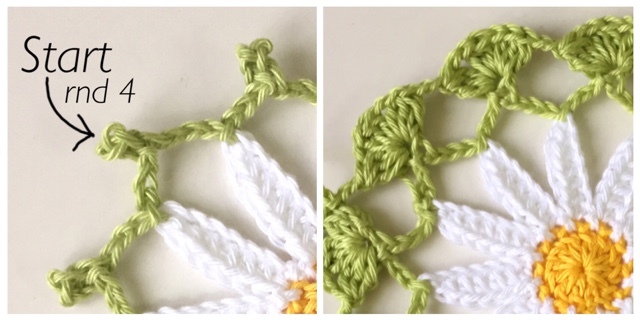 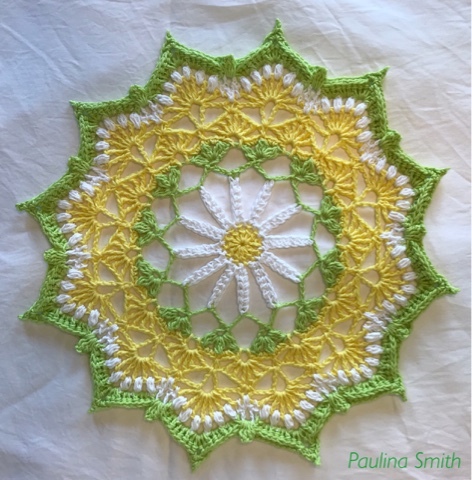 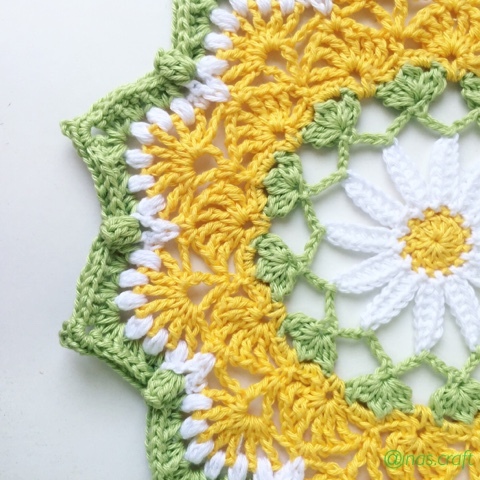 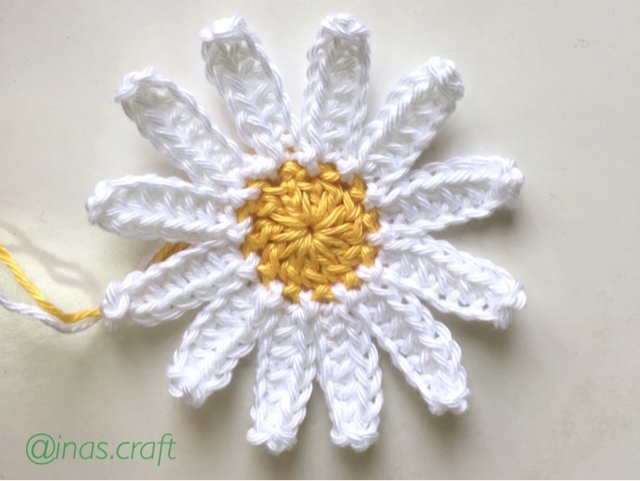 I’m really happy to share this simply beautiful Daisily Doily’s pattern and make it as a mini CAL! 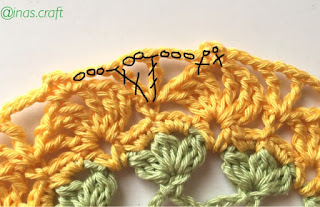 Oh it will be fun! Thank you very much for all my testers! They are : Paulina Smith, Asraa Ahmad, Rhoda Farrelly, and for Indonesian pattern testers : Mba Ony Nurhayati and Mba Ika Sumarni. 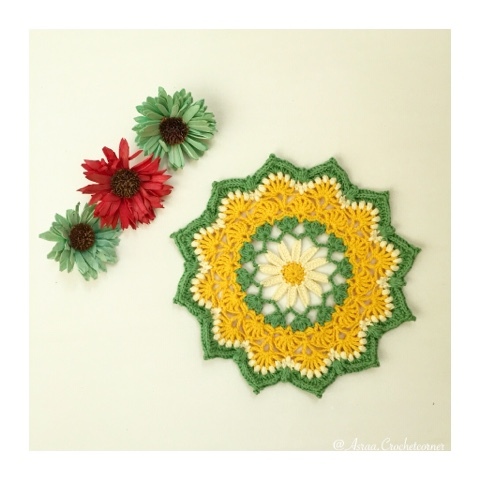 And thank you very much for Julia Veloso for translating my pattern to spanish. 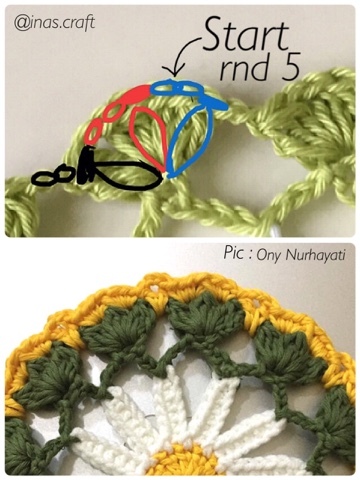 I use Alize Bahar yarn and other similar type of yarn which is sport yarn and 3.5 mm hook. 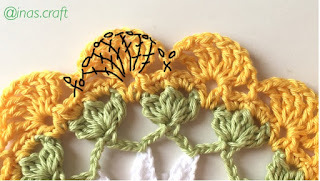 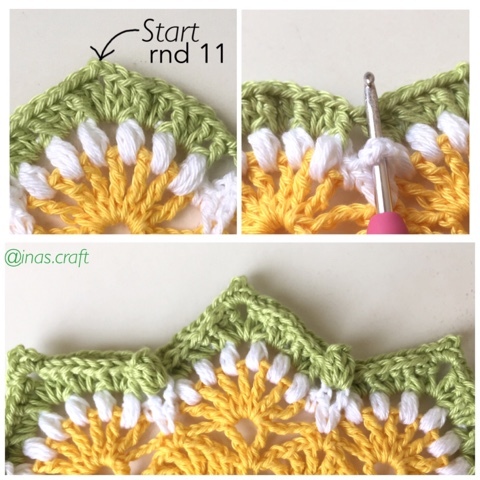 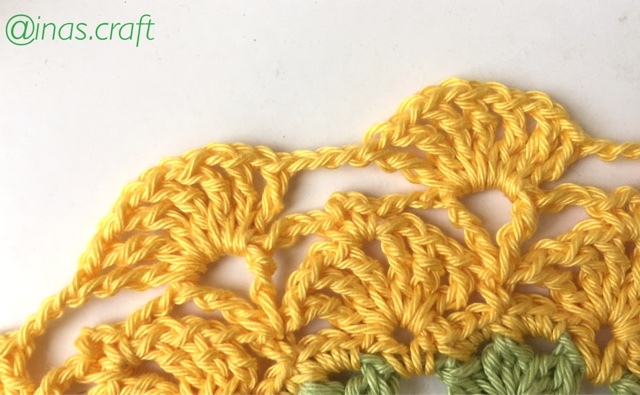 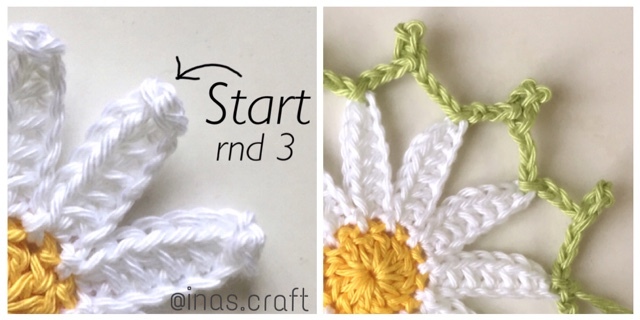 You can use any yarn and suitable hook, and of course your favourite colors! 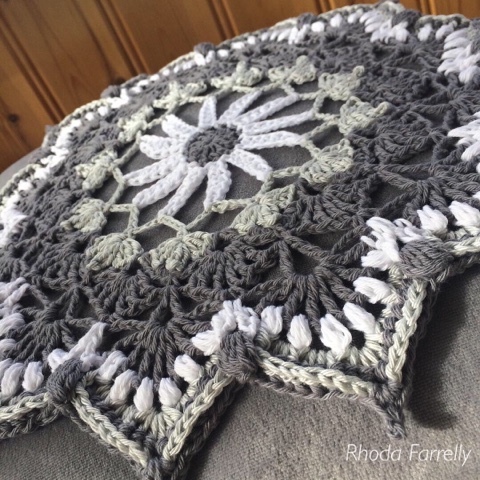 Love to see how this doily will become with another colors. 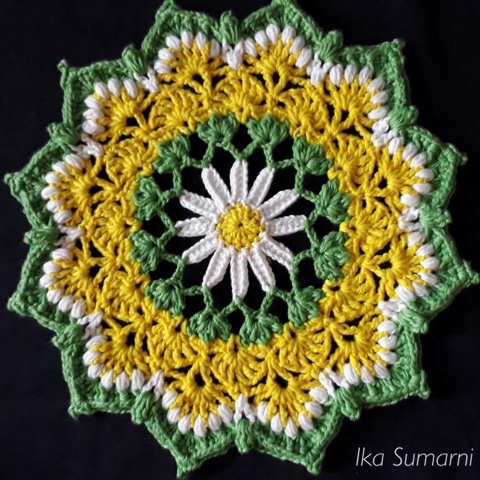 My finished doily size is appx 30 cm in diameter. 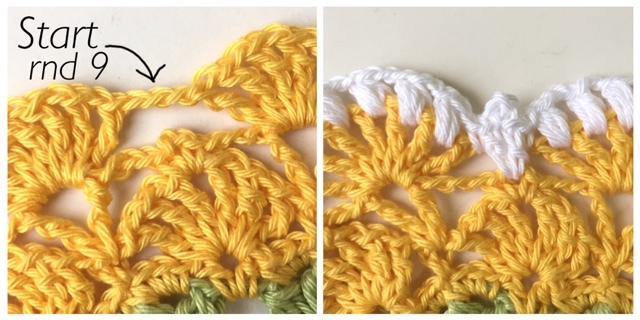 It depends on yarn and hook you use.